With the inaugural running of the $1 million Showdown just around the corner, it’s little wonder the opening of VOBIS Sires has already attracted a record number of stallion nomination, 61 in fact. And, perhaps most interesting is the quality of first season sires signed up to VOBIS’ newest benefits program. No less than nine newcomers have been signed up. They are Boulder City, Gold Standard, Highland Reel, Impending, Inference, National Defense, Overshare, Thronum and Tosen Stardom. That means all their progeny can have a shot at the $1 million Showdown, the $500,000 VOBIS Sires race for 3YOs and for their share of $24 million in VOBIS bonuses and prizemoney on offer every racing season. The latest addition to the Riverbank Farm roster is Boulder City. He is a half-brother to the exceptional mare Winx, who is set to stake her bid to claim an unprecedented fourth successive Cox Plate later this year. Boulder City retires to Riverbank unraced but perfectly sound. The son of Snitzel will stand at a fee of just $5,500, and with the opportunity to access such highly sought-after bloodlines, he is almost a certainty to be a hit with local and interstate breeders alike. “The decision to retire Boulder City to stud before commencing his racing career was a very difficult one,” said stud co-principal Russell Osborne. “He has had a number of minor issues that were becoming harder to manage, and the owners decided to meet the market demand and offer him at stud,” Osborne explained. Gold Standard makes his stud debut at Spendthrift Australia, where he will stand for an introductory fee of $7,700. Bred by Dorrington Farm’s Rob Crabtree, Gold Standard is a Group 2 winning son of Sebring who claimed the Stan Fox Stakes in dominant fashion as a three-year-old. On the track he showed tactical speed and versatility, defeating subsequent Group 1 winners Ace High and Trapeze Artist on multiple occasions. “Sebring is a sire that we have a lot of time for, and we are very excited to offer breeders his well-performed son,” said Spendthrift General Manager, Garry Cuddy. 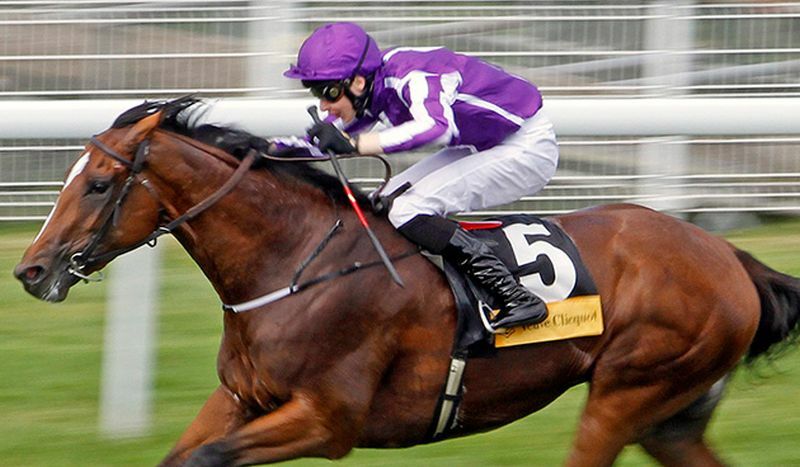 Globally performed superstar Highland Reel joins the stallion roster at Nagambie’s Swettenham Stud. Highland Reel is the highest earning European horse trained in history, who scored at the elite level on seven individual occasions. He is a son of the pre-eminent Galileo with an impeccable racetrack record and is set to stand at a competitive fee of $16,500. “Swettenham Stud has always prided itself on assembling an elite stallion roster that enables Victorian breeders access to the best colonial bred pedigrees and international bloodlines, and Highland Reel is another brilliant example of this,” enthused Swettenham Stud’s Adam Sangster. Impending was the first three-year-old in a decade to win the Group 1 Stradbroke and the beautifully bred stallion will assume his position on the Darley Northwood stallion roster following his retirement from the racetrack. “Impending is a great athlete and a great physical specimen. 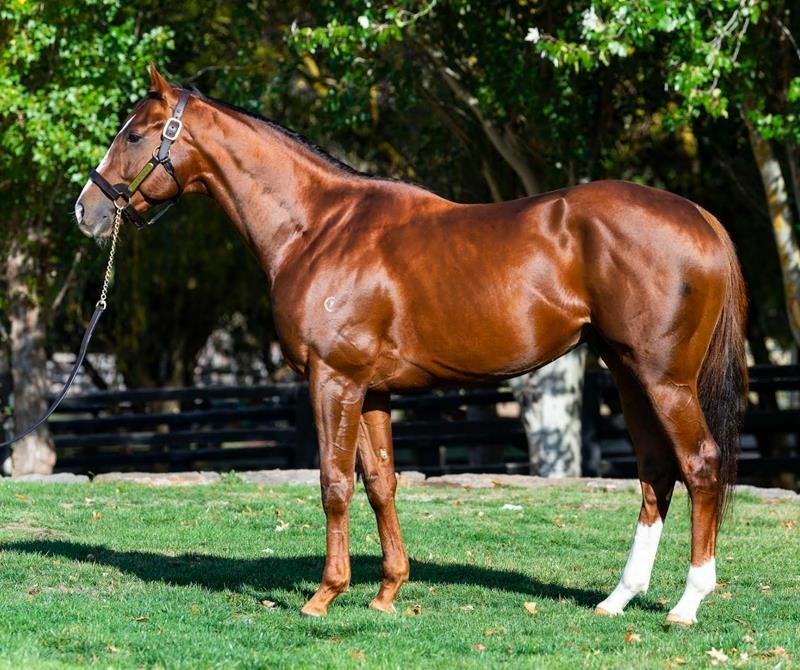 If his progeny inherit his looks and walk, yearling buyers are going to be all over them,” said Darley’s General Manager in Victoria, Andy Makiv. Meanwhile, Chatswood Stud recently announced that freshman sire Inference will stand at their Seymour-based operation for a fee of $8,800. “Chatswood has launched the stud careers of Flying Spur, Danzero, Invincible Spirit and more recently Reward For Effort. 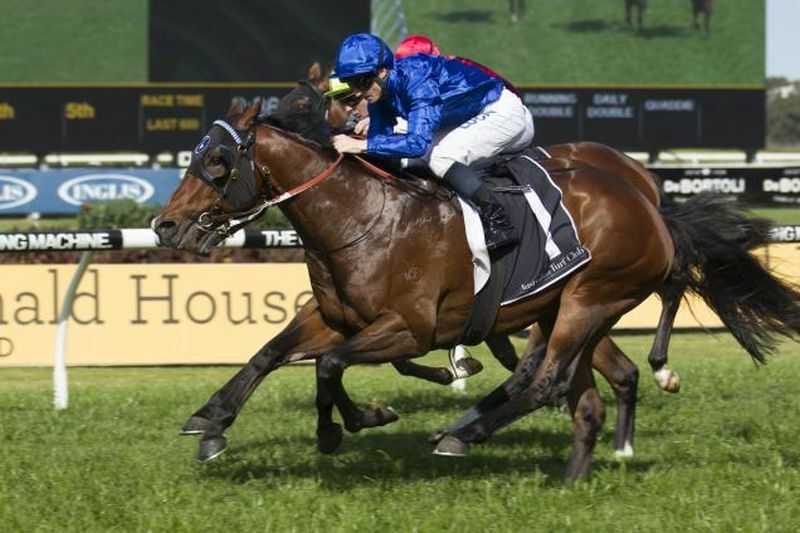 Inference will also be provided the same opportunity,” explained Chatswood Stud proprietor, Greg Willis. A Champion two-year-old in Europe, National Defense shuttles from the Irish National Stud to Victoria’s Sun Stud for the first time in 2018. 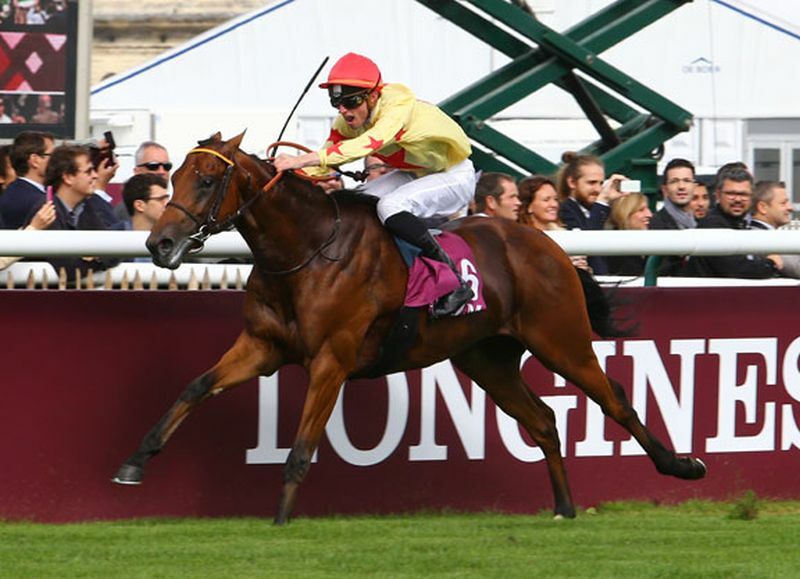 The son of Invincible Spirit claimed his maiden by six lengths and followed up this impressive win with another maiden victory, but this time in a Group 1 contest, capturing the Prix Lagadere. His service fee has been set at $11,000. “National Defense was a brilliant two-year-old and is sure to catch the attention of local broodmare owners keen to tap into the Invincible Spirit connection,” said Mark Lindsay, Sun Stud’s Senior Sales & Nominations Manager. Overshare is set to join Gold Standard on the Spendthrift Australia stallion roster for the 2018 breeding season at a fee of $15,400. 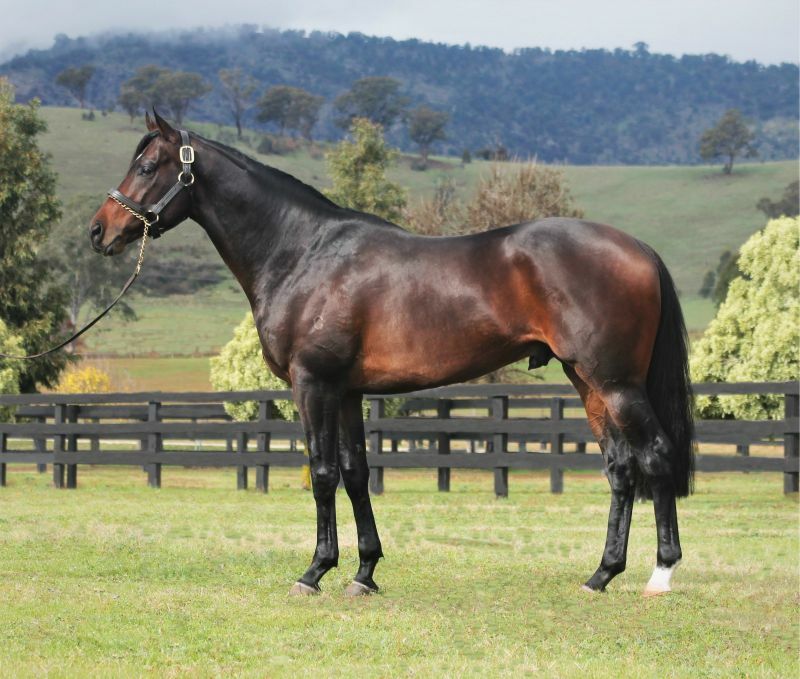 A son of leading sire I Am Invincible, Overshare was an impressive winner of the Group 3 Zedative Stakes as a two-year-old, a race won by the likes of Not A Single Doubt, Hurricane Sky, Denman and Pins. This was followed by victory in the Listed McKenzie Stakes at three, a race won by successful Victorian stallions Bel Esprit and Danerich. “We cannot wait to get him to the farm for breeders to see because we feel that he ticks all the boxes. 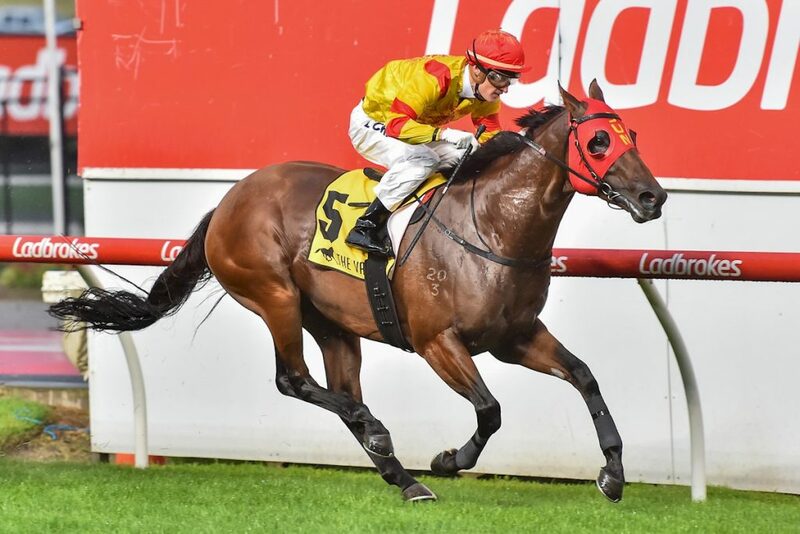 He is by a Champion Sire, he’s a multiple stakes winning sprinter, and he definitely looks the part,” explains Garry Cuddy. Thronum will accompany fellow newcomer, National Defense, to take his place on the Sun Stud stallion roster. Retiring with five wins and four placings under his belt from 14 starts, Thronum is set to stand at a fee of $17,600. 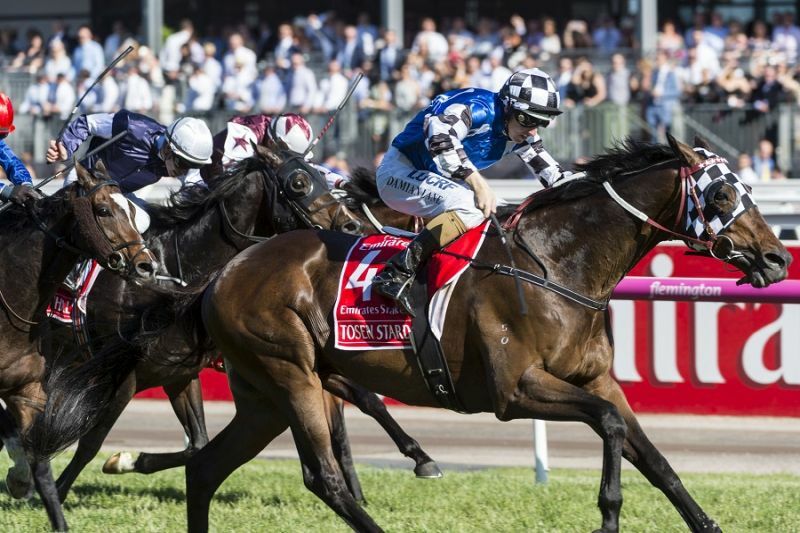 The speedy entire led all the way when taking the Group 2 Australia Stakes at Moonee Valley earlier this year, holding off late challenges from subsequent Group 1 winner Brave Smash, Stellar Collision and Mr Sneaky. 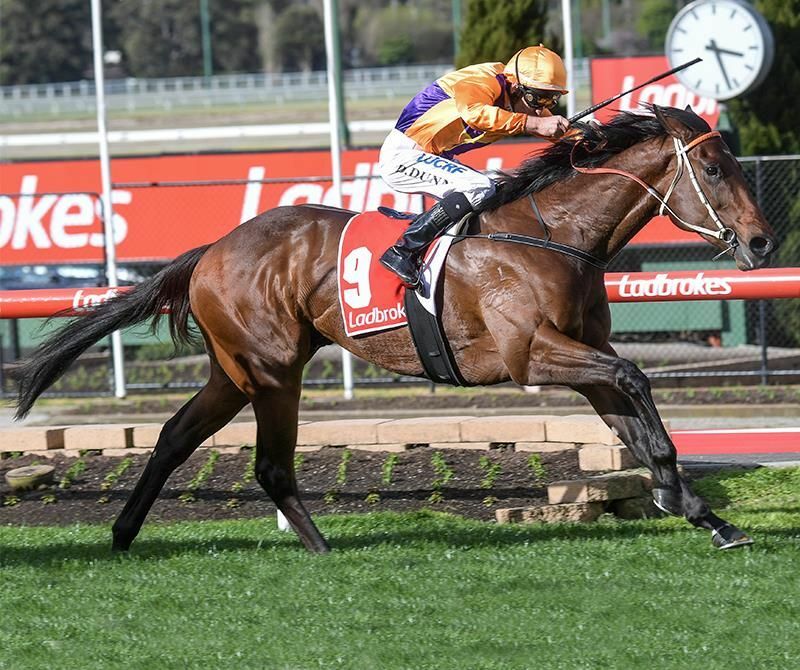 “His race record speaks for itself, and he has a real stallion’s pedigree too: apart from being a son of Snitzel, his family is jam packed with black type talent and he is closely related to outstanding sires Shamardal and Street Cry,” said Mark Lindsay. Rounding out the list of Victoria’s freshmen sires signed up to VOBIS Sires is Tosen Stardom who takes up stud duties at Woodside Park Stud for an introductory fee of $19,250. With only three Deep Impact sire sons available to breeders outside of Japan, Tosen Stardom brings unique value to Victorian mares as an international outcross free from Danzig blood. His feats on the racetrack in the Group 1 Toorak Handicap and the Group 1 Emirates Stakes further add to this appeal. 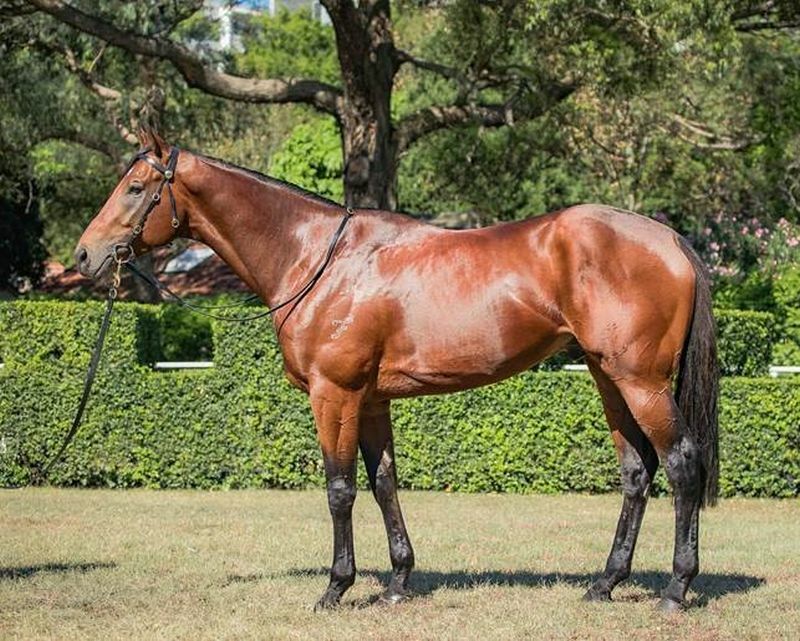 “As a package, he has the immense presence mare owners desire to produce commercially attractive and successful progeny,” said Woodside’s General Manager Commercial, James Price. 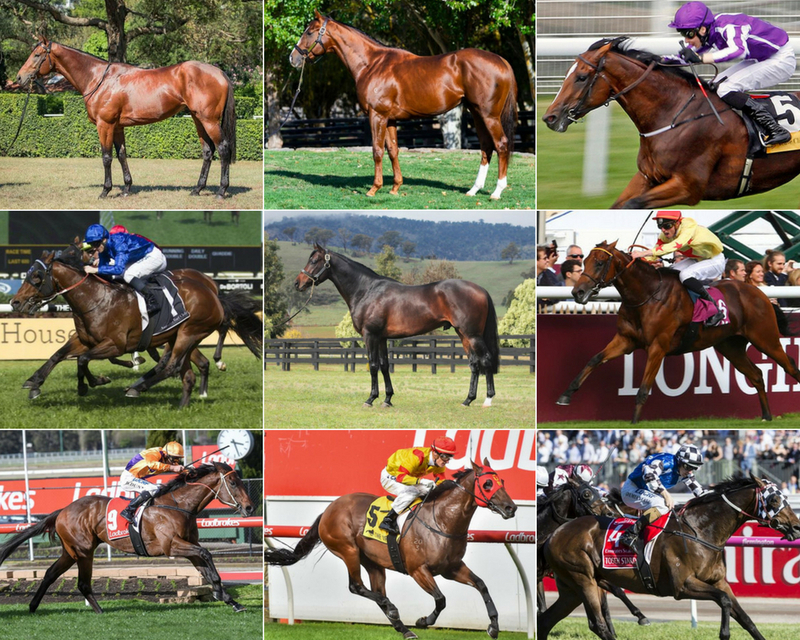 To view the full list of Victorian stallions nominated of VOBIS Sires in 2018, visit the 2018 nominations listing at the dedicated VOBIS Sires website. For those stallion owners who have not yet nominated, it’s not too late! Nominations are open until 31 August. Contact Racing Victoria at vobis@racingvictoria.net.au or phone (03) 9258 4694 to request a nomination form. Nomination is the cost of an advertised service fee with discounts for stallions serving less than 50 mares in the season.